Flavorful delicious soup with rich creaminess mouthfeel. Heat oven on 400 F. Rinse poblanos and put them to roast in the oven for 15 min. After 15 minutes turn them on baking tray and roast for 10-15 minutes. After roasting put the poblanos in a ziplock bag and set aside to rest for 25 minutes. In the meantime chop onion and mince garlic. 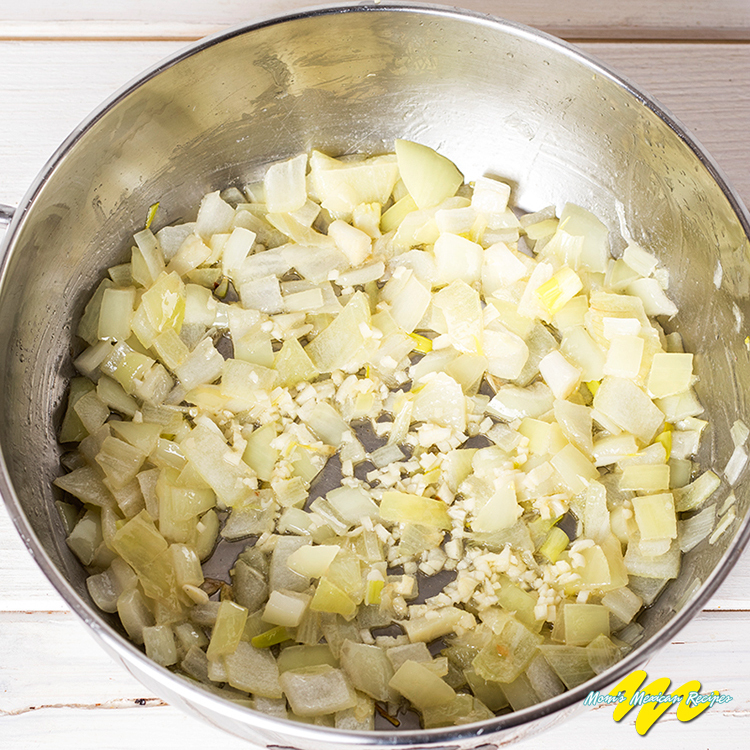 Heat a saucepan over medium heat and add butter and onion, sauteing 7 minutes. Add minced garlic and cook 2 minutes. Add 3 tablespoons flour and whisk well. Add 4 cups of stock and half teaspoon salt. After boiling lower the heat and simmer for 10 minutes. 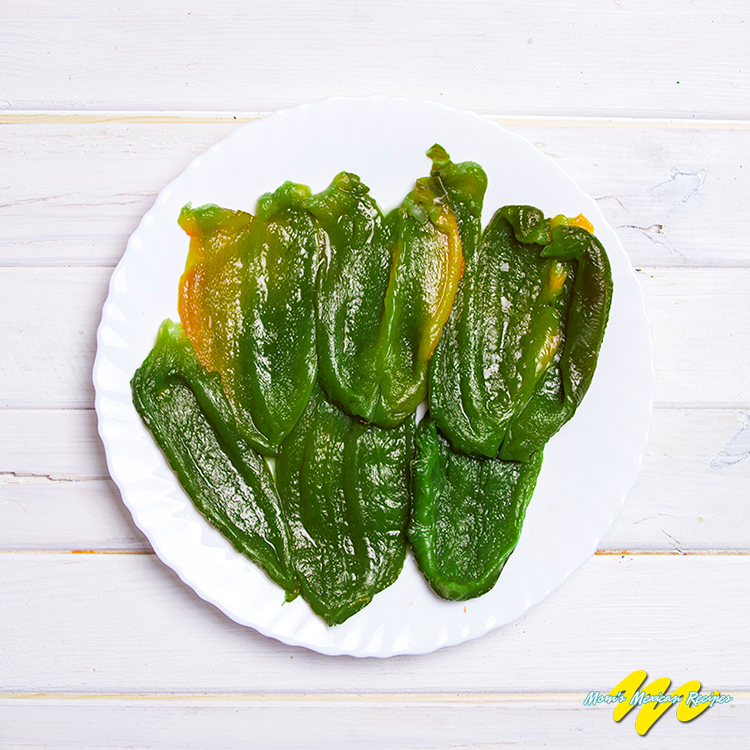 After cooling poblanos, pull off as much as you can skin and destem and deseed the poblanos. Add roughly chopped poblanos in saucepan and heat to simmering for 3 minutes. 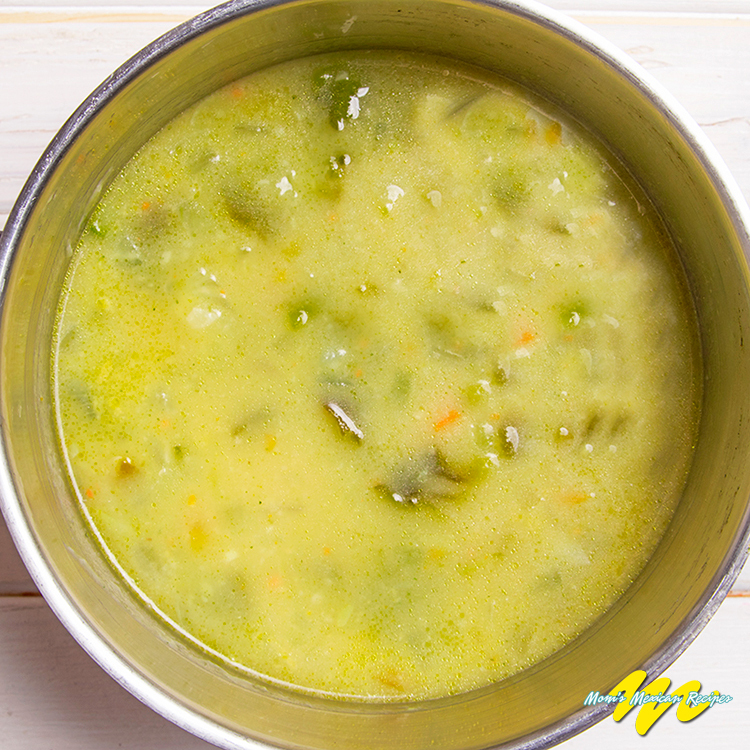 Blend the mixture with a hand blender until you got a uniform texture. 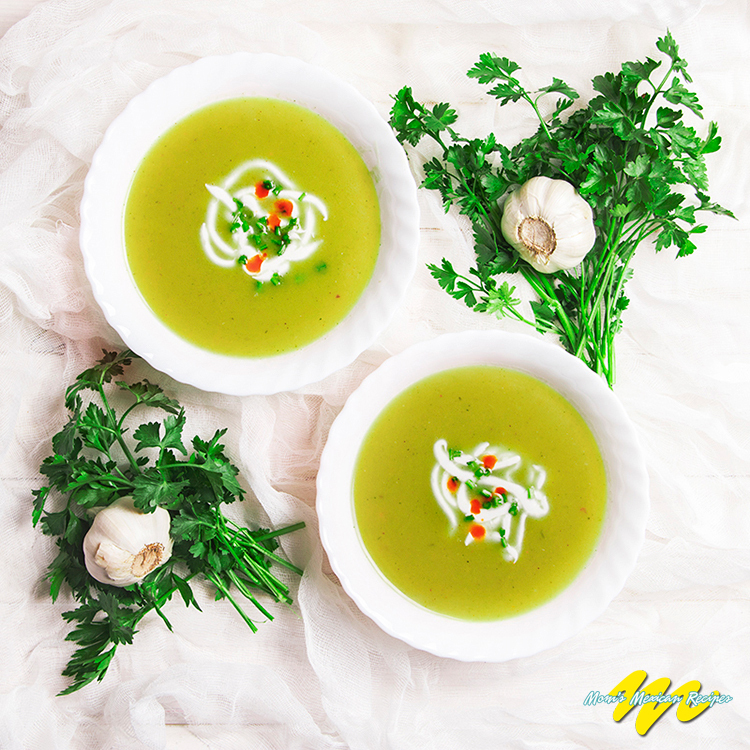 Serve the soup and decorate with sour cream, few drops of hot sauce and fresh cilantro stems.